UK Prime Minister Theresa May has embarked on a frantic two-week campaign to persuade sceptical MPs to back her Brexit deal when it comes before the House of Commons on 11 December. But it is increasingly clear that it won’t wash with the Scottish National Party. 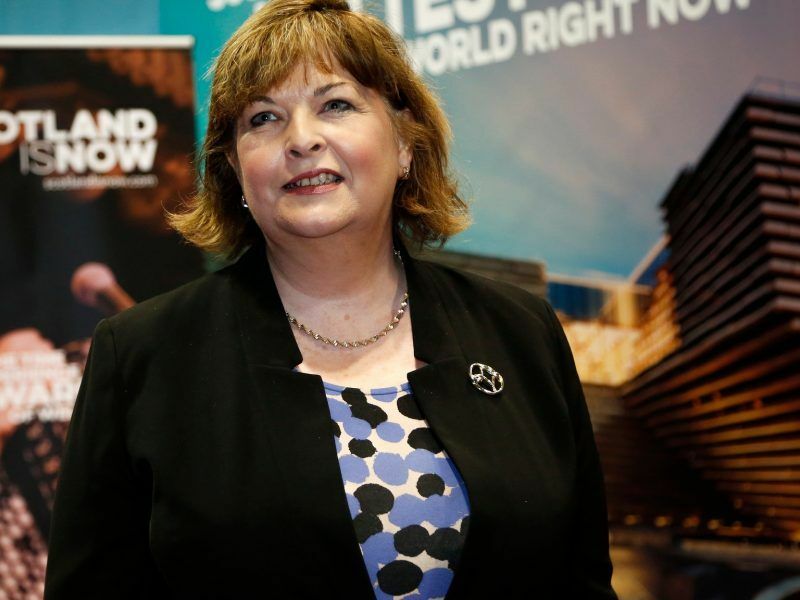 “We won’t be blackmailed,” Scotland’s External Relations Minister Fiona Hyslop told EURACTIV.com. “There is always a different way, and there is not a majority for ‘no deal’”. Scots voted by a hefty 62-38% margin to stay in the EU in 2016, and the Scottish government has not backed down from its stance that leaving the EU would be a terrible mistake, both politically and economically. On Tuesday (27 November), a Scottish government paper estimated that Theresa May’s Brexit deal would leave its economy £9 billion (€10 billion) worse off by 2030, the equivalent of £1,600 (€1,800) for each person. 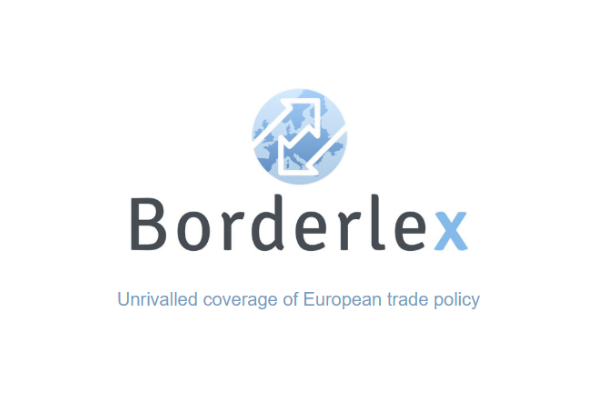 “One of the problems with the agreement is that it restricts freedom of movement,” said Hyslop. She told EURACTIV that a 50% reduction in the number of EU migrants coming to Scotland would lead to the country’s population decline by 1%, and reduce the number of children by 4.3%. “It will leave Scotland economically worse off, and there is no way that the Scottish government will vote for something that will make us worse off,” said Hyslop. Nicola Sturgeon’s demands for a differentiated migration policy have simply been ignored by London, and Hyslop said she expects the May government to publish an immigration paper before December 11, in a tactical bid to shore up support for the withdrawal agreement. The Migration Advisory Committee, which advises the UK government on future migration policy outside the EU, has already delivered a kick in the teeth to Scottish interests. Its recommendations, which include a wage requirement of £30,000 (€34,000) for Tier 2 visa status, would leave 75% of EU nationals currently in the UK ineligible under the proposals. Hyslop described the MAC’s September report as “appalling”. For the next two weeks, the SNP, whose 35 seats in the House of Commons make them the third largest party, is focused on defeating May’s deal in Westminster. “We are trying to get a coalition against the withdrawal agreement but we are quite clear that it’s not a choice between this deal and no deal,” says Hyslop. That would mean an overhaul of May’s deal rather than tinkering around the edges. One alternative would be to seek single market or customs union membership. The other is a second referendum, said Hyslop. “There is a majority against ‘no deal’, and there’s probably a majority for single market membership,” she says. Aside from freedom of movement and single market access, one of the hottest Brexit topics in Scotland concerns the future of its fishing industry. Scottish Tories have said that the SNP’s pro-Remain stance would keep them in the unpopular EU Common Fisheries Policy. 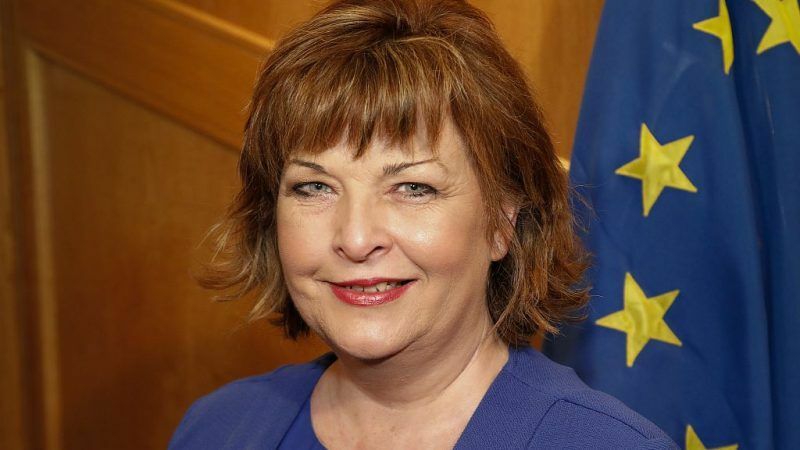 “The best option for us is remaining in the European Union,” Scotland’s Culture and External Affairs minister Fiona Hyslop tells EURACTIV. Faced with the reality of Brexit, the Scottish government is “trying to identify the least-worst option,” she explains. On Wednesday, Chancellor Philip Hammond conceded that Brexit will leave the UK worse off economically even if it secures an ambitious free trade agreement with the EU. So could a second vote be won? Hyslop said that the numbers in Scotland are stronger in favour of Remain than in June 2016, and now stand at around 70-30%, while Wales, which voted narrowly in favour of Leave, appears to have switched. “I’m not pretending that the polls have moved substantially but I think the mood has changed,” she said. “There is probably a better understanding of the value of freedom of movement across the UK. There are probably some people who have a mythical view that you can just pull up the borders and it won’t affect your health service or your economy. One of the grievances voiced by the Scottish and Welsh governments throughout the Article 50 process is that they have been shut out of the negotiations, and Fiona Hyslop pointed to the ultimate demonstration of that in the withdrawal agreement.